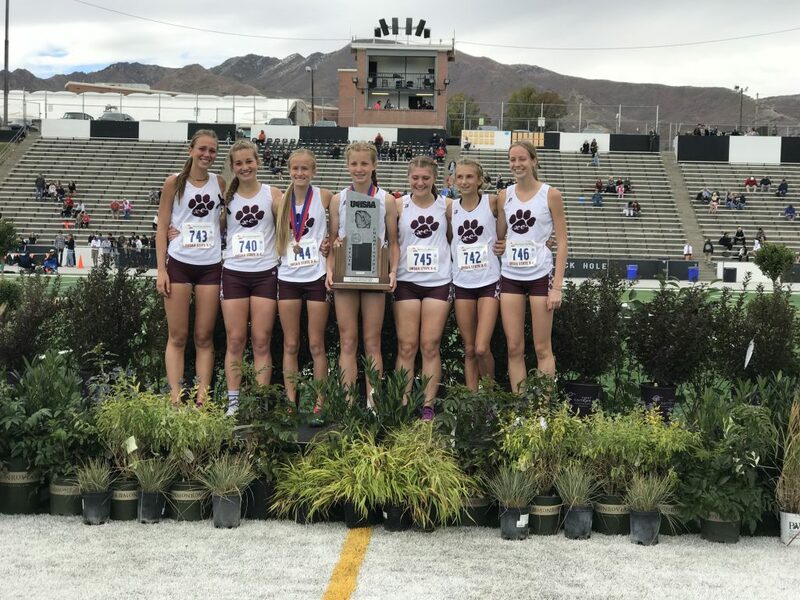 ST. GEORGE — Desert Hills High School won the girls 4A cross-country girls state championship Wednesday afternoon at Sugarhouse Park in Salt Lake City. 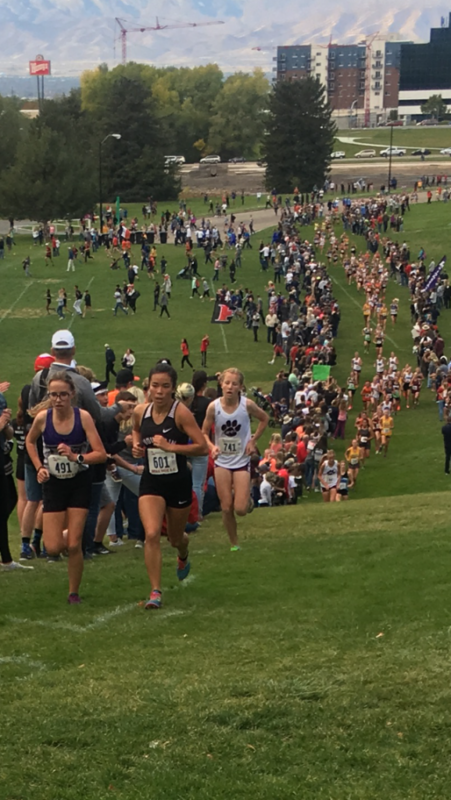 The Lady Thunder were led by seniors Bailey Brinkerhoff and Samantha Nelson, who finished fifth and sixth, respectively, out of the 122 runners in the race, which featured athletes from the top 16 schools in the 4A classification. Brinkerhoff’s time for the 3-mile race was 18 minutes, 26.4 seconds, while Nelson crossed the finish line less than five seconds later in 18:31.1. Desert Hills coach Logan Fielding said Brinkerhoff and Nelson typically finish within a few seconds of each other. Desert Hills’ next four runners finished between spots 14 and 19 on the overall list. Senior Lily Poulton was 14th, junior Lauren Leukenga was 16th, senior Trinity Shimbeck was 17th, and senior Chloe Kockler was 19th. In winning this year’s title, the Lady Thunder had a team total of 55 points, the result of adding the placement spots of its top five finishers (lower scores are better). 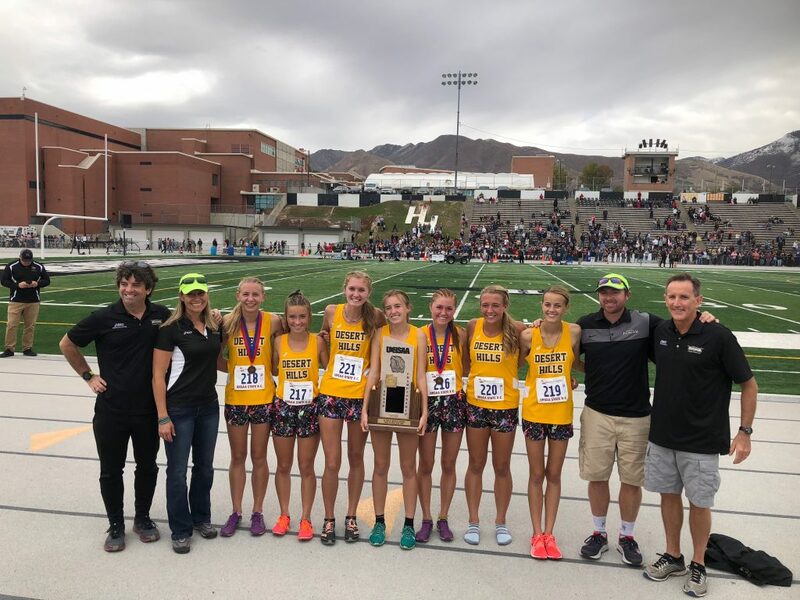 Desert Hills dethroned reigning two-time champion Pine View, which took home the runner-up trophy this year with 78 total team points. Sophomore Alli Baker paced Pine View with a fourth-place finish. “We took second two years ago, and a tough third last year, but we showed we can get it done and finish it off with the first place,” Fielding said. Pine View coach David Holt had high praise for his team’s effort, as well as that of rival Desert Hills. “It’s the hard thing about cross country, you can’t play defense,” Holt said with a laugh. “But also, one of the coolest things about it is that every kid gets to do his or her very best. If your very best ends up with a win, that’s awesome. If your very best ends up, you know, like the girls today, they raced there best here and ended up second. This is a tip of the cap to Desert Hills, to Coach Fielding, for having an awesome team. To see complete results for the 4A girls race, click here.